Nice ca. 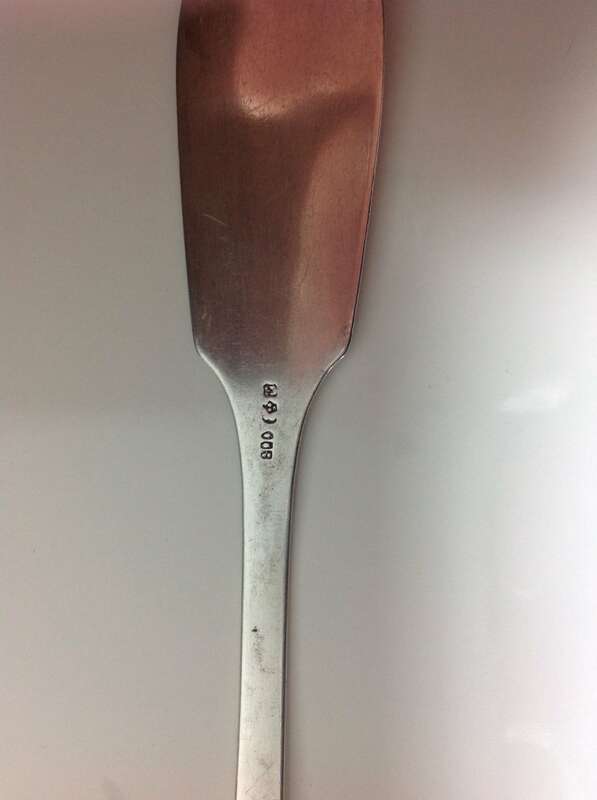 1890 serving spoon by an unidentified German maker. Stamped 800, German hallmarks (crown/crescent) and an unidentified maker mark. Minor wear on this piece nothing serious. 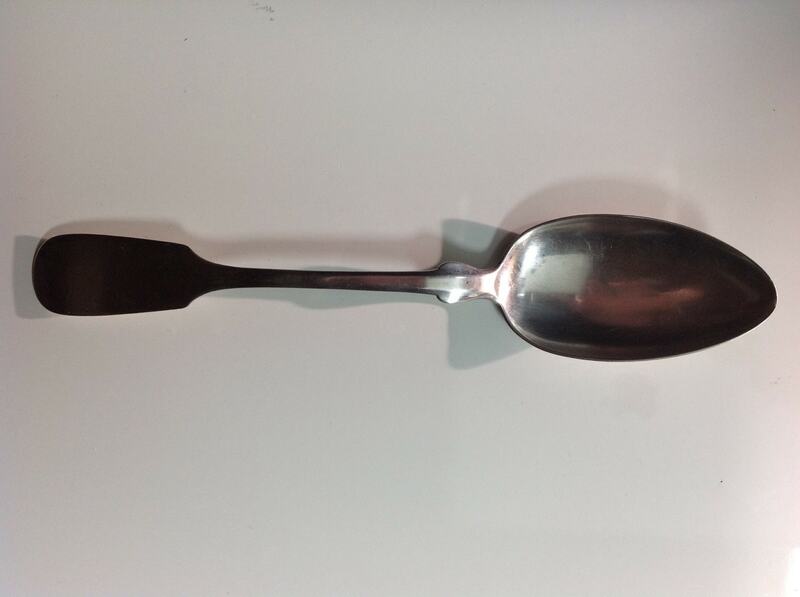 Nice large spoon. 48.9 grams. About 9" long.